historic cities and castles dramatically poised on hilltops. visitors in former castles, palaces and monasteries. In days of old when knights were bold, many of them rode across the high plain of old Castile. Today, this richly historic region of central Spain is threaded with fine highways rather than riding trails for men in armour, and it makes a great touring destination. Elevated at an average of 660 metres, Castile occupies most of the central meseta of Spain. Divided into the region of Castilla y Leòn to the north and west of Madrid, and Castilla-La Mancha to the south and east, this plateau is sparsely populated compared to the coastal regions. Ideal for a driving tour, the wide open road beckons, with a network of excellent two-lane blacktops built in recent decades. As every Spanish schoolchild knows, in the 15th century, the “Catholic Kings” – King Ferdinand and Queen Isabel – unified Spain and set it on the path to being Europe’s greatest power in the next century. A royal couple like no other in European history, their transformative reign saw the rise of a string of great cities. Amongst these cities of old Castile, four stand out for their beauty and lasting power: Segovia, Avila, Salamanca and Toledo. Though all of them have Roman or even earlier origins, they had their great moments in the 16th and 17th centuries – and walking their streets today, visiting their monuments, imbibing their atmosphere, you thrill to the sense of being in a bygone world of immense richness and power. And what is even more special about visiting Castile is that you can stay in outstanding historical properties throughout the region – castles, palaces, convents and monasteries turned into hotels by the Spanish government’s unique Parador chain – and so get truly inside the atmosphere of Spain’s amazing olden days – but with modern luxury facilities. Full details on this come later in the story. For a grand tour of old Castile, first head north from Madrid, across the Sierra de Guadarrama mountain range, to Segovia. As you motor down onto the plateau, Segovia appears unmistakably, crowning a long hilltop above the rolling fields, like a ship upon the waves, its cathedral the mast, its castle the prow, and its Roman aqueduct the rudder. 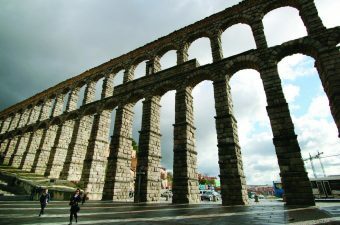 The aqueduct is the symbol of Segovia, the best-preserved engineering project of the Romans in all their former empire, a magnificent collection of arches which now also acts as the gate into the old city. A narrow street rises steeply though the tightly pressed huddle of buildings, winding this way and that, passing a wonderful array of shops, until it reaches the main square, a rectangle of fine old buildings dominated by a Gothic cathedral. Turning down a side street, leaning into the stiff wind which habitually blows up this way, you eventually come to the far end of town and Segovia’s special gem: the Alcázar. This multi-turreted castle evokes Disneyland fantasy, because it was rebuilt after a 19th century fire in a deliberately romantic style. Inside, because of its relative newness and superb upkeep, the décor sparkles with golden ceilings and glistening armour. The history is hugely significant: in this castle, Queen Isabel was married to King Ferdinand and here she promised Columbus the money he needed to discover the Americas. The views are vertiginous: the soaring castle sits on an outcrop with sheer drops all around. For dining, the Meson de Candido is the obligatory stop. 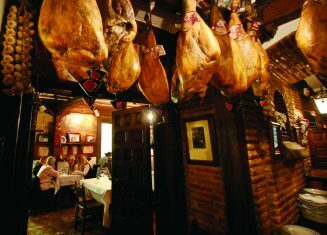 Famed throughout Spain for its signature dish, roast suckling pig, this old wood-beamed restaurant, hung with historical pictures and all kinds of oddities, spread over three floors, is a sight in itself. The family patriarch himself does a show: first he gives a grand speech read from a scroll, then he proceeds to chop up two glistening suckling pigs just with plates, so tender are his prize products. Leaving Segovia for Salamanca, it is best to drive not on the direct highway, but to take an arc to the north along secondary roads. 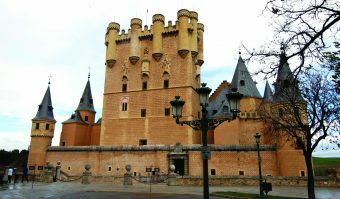 This takes you to some of the most dramatic of Castile’s castles, towering over old towns, dominating villages, just as their noble owners once lorded it over the land. Coca Castle and the castle at Medina del Campo are the best of these. Seen from afar rising out of the rolling plain, Salamanca is the golden city of Castile, constructed in warm Villamayor stone, rich in iron oxide, which glows as if gilded in the early morning and evening sun. It is also the most complete of the cities: a rich panoply of history, learning, literature and religion characterise the past, whilst the present is coloured by a dynamic student and artistic culture, plus a vibrant and elegant shopping district in the newer part of the city centre. 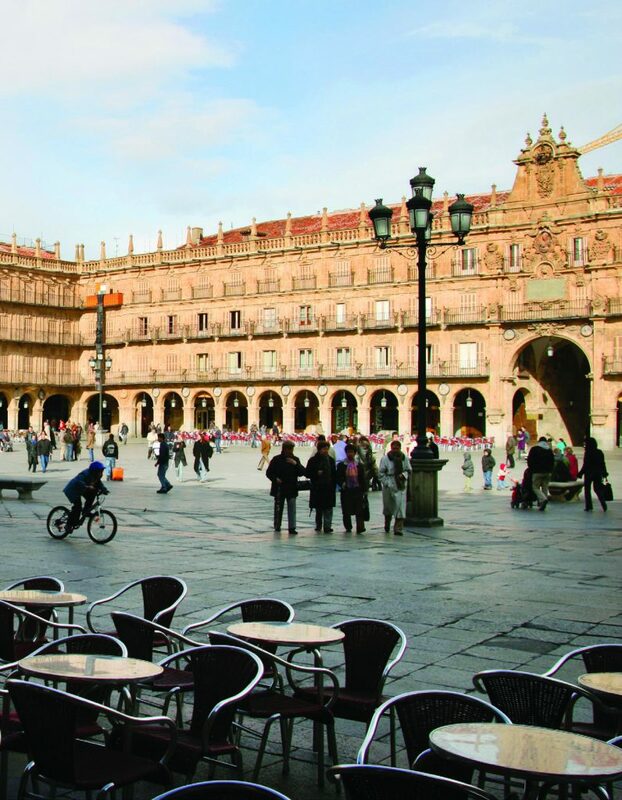 Salamanca centres on the most beautiful square in all Spain: the Plaza Mayor is an 18th century gem of arcaded palaces, surrounded by cafes and restaurants, filled with promenading citizens. Close by are many a monastery dating from medieval times and parish churches of equal antiquity, in a maze of old streets running this way and that, mostly pedestrianised for ease of access. 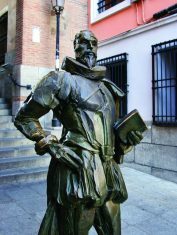 Although rich in religious institutions like the magnificent church and monastery of the Franciscans, Salamanca’s chief claim to fame is its ancient university, which in medieval and Renaissance times was spoken of in the same breath as Oxford, Bologna and the Sorbonne in Paris, prized as one of the four oldest universities in the western world. 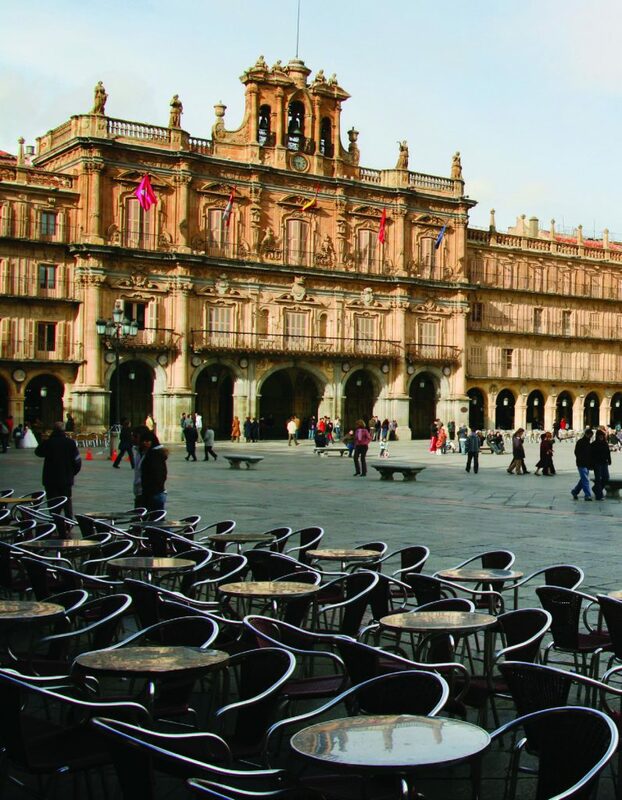 Founded in 1218, the university still occupies a large part of the old city centre; the elaborately carved façade of its main entrance is a fascinating sight, fashioned out of Salamanca’s trademark orangebrown stone. Between Salamanca and Avila, it is again best to take a detour, driving south and meandering through the mountains rather than hurrying along the direct highway. The Sierra de Francia is dotted with ancient villages, of which La Alberca with its cobbled streets and balconied houses is unmissable. Only a few decades ago, La Alberca was a place of dire poverty, but now it is pretty as a picture. 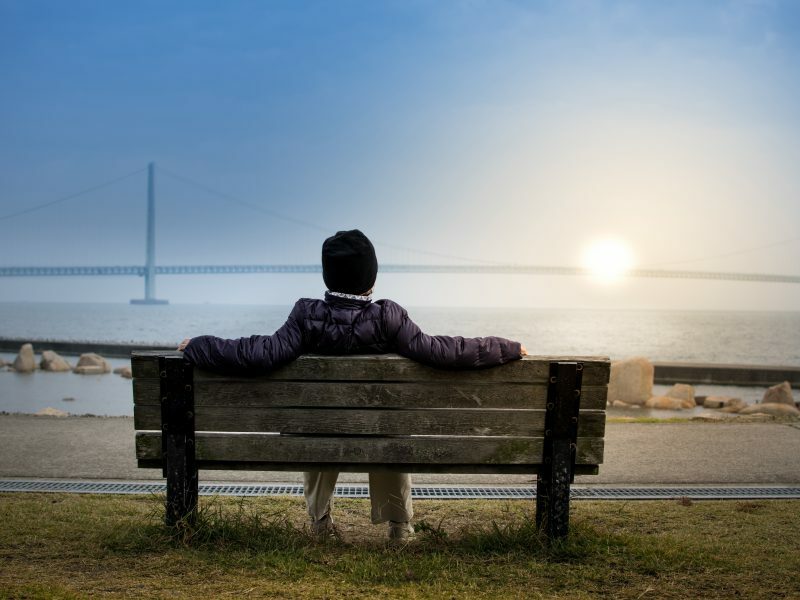 Running straight through grassy fields between two snowy mountain ranges, the road reaches Avila at the ideal western point: you see the city’s mighty medieval walls in all their glory. Avila boasts the most impressive stone ramparts of any European city, completely enclosing the old town in crenellated fortifications. The walls are the city’s symbol, reflecting the warring centre it once was. 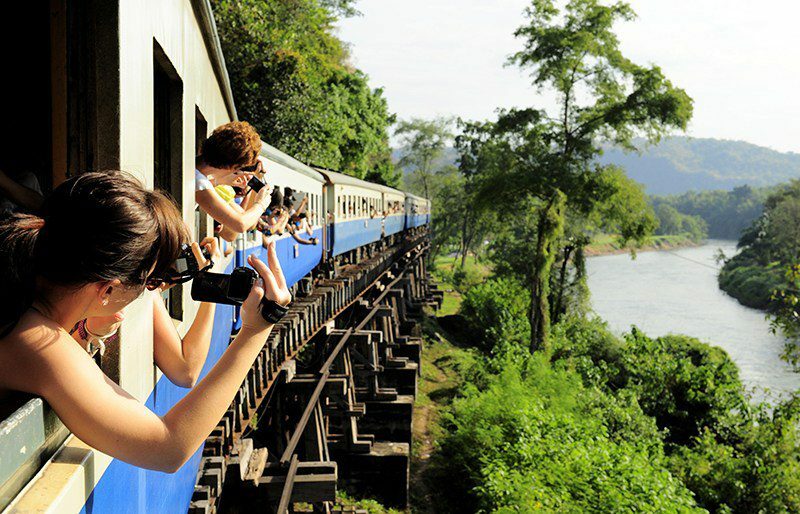 Built in the 11th and 12th centuries, they are 2.5 kilometres long and average 12 metres in height. Punctuated with fortified towers and gateways, most of their length can now be walked, letting you imagine yourself as an armoured sentry pacing the battlements, looking out for the enemy. Contrasting with its warring history is the deeply spiritual side of the city. The atmosphere in the great Gothic cathedral and the influence of the Roman Catholic mystic Santa Teresa transport you to another world. Santa Teresa (1542-1591) entered the convent of the Incarnation of the Carmelite Order at Avila, did much to reform the Order, and wrote some of the most remarkable mystical literature of Roman Catholicism. Dedications and memorials to her are seen all over the city. Between Avila and Toledo, again, the long way is better than the short way. 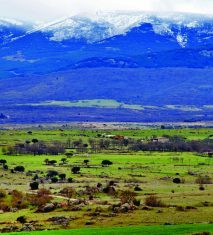 Head south and soon the snow-capped Sierra de Gredos looms. Crossing the high pass, you hairpin down to Mombeltran with its four-square castle perched on an outcrop, and then hit the plain of Castilla La Mancha, the land of Don Quixote. Toledo is a fitting climax to this tour. Amongst these four cities, Toledo is richest in history and strongest in reputation. Dearest to the hearts of the Spanish for its cultural importance, it also basks in a wonderful location capping a hill and semi-encircled by the River Tagus, amidst the arid brown hills of Castilla La Mancha. 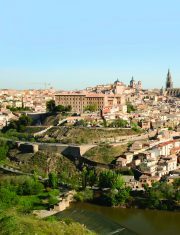 Toledo has a history that includes the Romans and the Moors, but it rose to fame as the capital of Catholic Spain from 1085 to 1561. Its colossal cathedral remains the principal church of Spain, and its many great religious monuments and narrow streets running up and down across the hill create a magical medieval atmosphere imbued with the echo of great events from its storied past. Once upon a time, Toledo steel was the best in the world, a byword for the city’s power and expertise. Today, Toledo still trades on this: never will you see so many sword and armour shops in one place. So do Toledans still cross swords in the street and ride out to battle in steel suits? No, but they hope that you will buy the stuff. For those who don’t fancy a 10-kilo head-chopper, sword-shaped letter openers are available. Four or five centuries ago, Castile was a name that carried enormous weight, representing the power of Spain at its height. What is so great about going there today is that so much of that old Spain is still there to see, and well kept too. “Smile, you’re in Spain” is a classic slogan of the Spanish tourist board. Cruising round Castile is surely one way to get smiling. For accommodation in the spirit of old Castile, the obvious choice is the state-owned luxury hotel chain called Paradores de Turismo. Set up by the Spanish government back in the 1920s to bring to life fine old properties throughout Spain, the Paradors now number more than 90 and occupy a splendid array of former castles, palaces and monasteries, plus some new-built premises, always in scenic locations. But this is possible: you can stay in castles in Spain and live your own dreams for a day or two – or for weeks on end. The state-owned Parador hotel chain will accommodate you in a string of astounding heritage properties across Spain – and especially in the historic heartland that is Castile. No hotel experience is quite like staying in a real castle. Sheltered within stout walls of stone, you walk in the footsteps of kings and queens of old, and knights that were bold, and ladies that wore velvet, you sleep where they slept, in a four-poster bed, and perhaps even dream their dreams. And no castles are quite so suited to the task as those of Spain, offering a truly special travel experience. 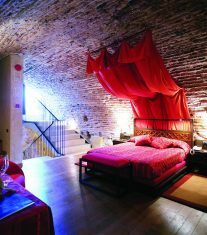 For those who love the passionate and romantic history of Spain in particular, it really can be the trip of a lifetime. An added attraction at the Paradors is that their restaurants offer time-honoured regional cuisine, presenting traditional local dishes which are difficult to find elsewhere. Lately though, to modernise its philosophy without betraying its original spirit, many dishes have been updated by lightening sauces, revamping cooking times and enhancing presentations. The Paradors occupy beautiful properties in fine locations, mostly with copious parking, which makes them excellent hotel choices when touring by car. Here is a tantalising sampler: overviews of three of the best castle Paradors in Castile, whose very name echoes the word “castle”. The Castle of Siguenza is a massive and hugely imposing structure, spreading across a hilltop. A Moorish fortress conquered by the great Christian warrior El Cid, it was converted into a fortified bishop’s residence, extended and gradually turned into a palace. Remodelled in the 14th century and again in the 15th, when twin towers were added, the castle was largely destroyed in the 1936-39 civil war, then rebuilt in the 1950s with tremendous diligence and authenticity. Now the castle is the Parador de Siguenza – a stunning hotel experience. The lounge occupies the castle’s feasting hall, a huge chandelier-hung room whose walls are decorated with heraldic banners and suits of armour. Wood-beamed ceilings are everywhere, and the restaurant occupies a long stone-walled room dominated by a succession of bold stone arches. 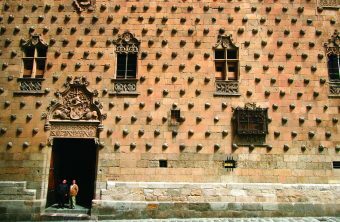 With its lordly halls, grand fireplaces and regal bedchambers, Siguenza is as near to castle living as most of us are likely to get. 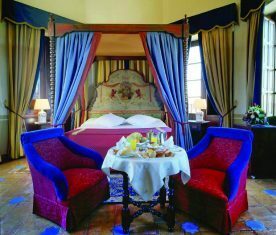 Traditional Castilian furniture is found in the spacious, welcoming bedrooms, some of which have four-poster beds and terraces. The views may be over the town’s red roofs and the hills beyond or into the inner courtyard with its fountain and well. Here, as in most paradors, the historical atmosphere is complemented by modern hotel facilities such as a gym and a sauna. Similarly, the restaurant offers international dishes as well as traditional local specialities. Two examples are cabrito asado a la barrena, roast kid locally raised, and medallones de solomillo al fino olorosa, succulent pork cooked in a sherry sauce. Around 1,600 years ago, upon a rugged and rocky hill encircled by water, King Alaric of the Visigoths built a castle which still bears his name. 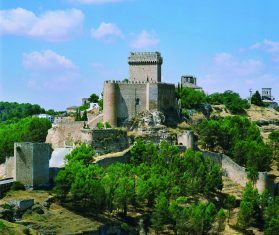 Situated in southeastern Castilla La Mancha, the land of Don Quixote, Alarcon Castle was strengthened by the Moors who occupied it for 400 years. 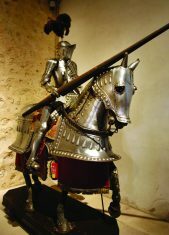 After a long siege by Christian forces, a brave knight climbed the walls one night by wedging daggers between the stones, got inside and opened the gates, letting the Christians in to take the castle for the Reconquest. The castle became the seat of the Marqueses de Villena and is now the Parador of Alarcon, a dream of a castle, its vivid history a palpable presence. One of the very finest examples of a perfectly preserved castle, it only has 14 bedrooms, so staying here can be a rare treat. Recently rehabilitated and redecorated in a mixture of modern and historical styles, the Parador’s stony castle nature has been brought to the fore whilst retaining the comforts and conveniences of a luxury hotel. The fabrics used within bring out the building’s medieval character; the reds and oranges contrast with the austerity of the space, which also features an extensive art collection. A paradise for meat-eaters, the Parador de Alarcon’s local dishes are based on the area’s excellent meat, especially lamb (young sheep), kid (young goat) and game (wild animals). Some fine examples are morteruelos, a pâté of game meats, and cordero en caldereta, a lamb stew. The Parador of Oropesa consists of two castles, separated by an immense wall crowned by magnificent battlements and a massive tower. 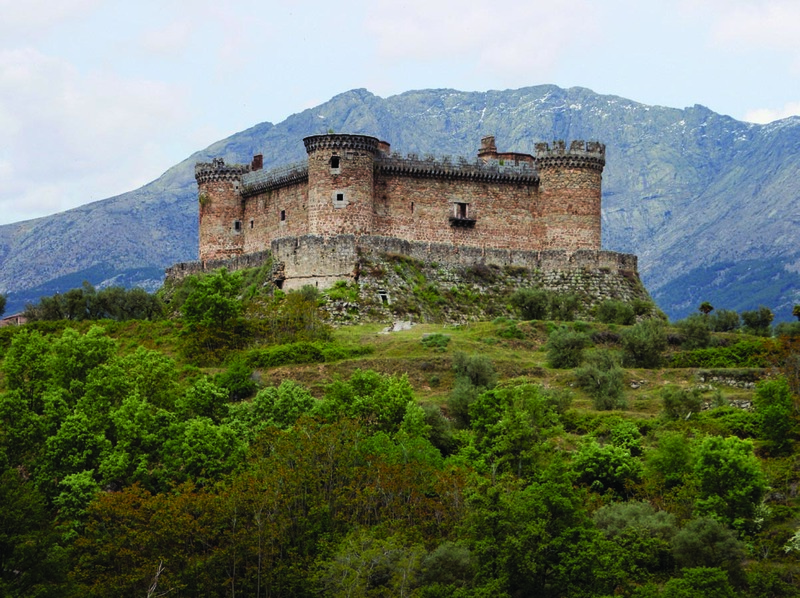 The Old Castle was built in the 14th century to watch over the main road from western to central Spain. Much of it was torn down to provide stones for the Mudejar-styled New Castle in the 15th century. At one time the double castle was controlled by a noble called Don Francisco de Toledo, who was blessed with an impressive string of titles: Count of Oropesa, Duke of Alba and Viceroy of Peru. He and later lords added palatial rooms and quarters to create finally what you see today. 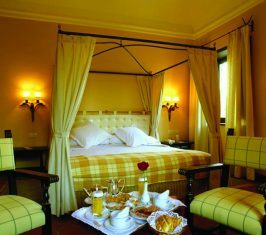 The Parador of Oropesa is majestic, spacious and elegant. Columns and arcades make the central courtyard a special feature. 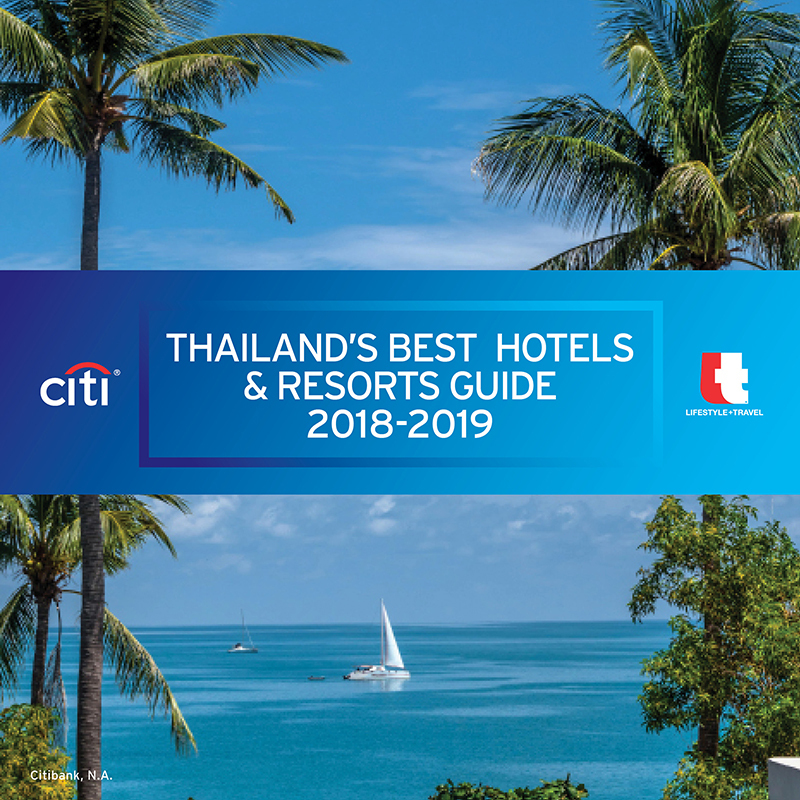 The extensive interior sports large, bright rooms and lounges with antique adornments in the form of large chests, ornate lamps and sumptuous curtains. The 39 twin guest rooms, five double guest rooms and four suites are decorated with woven curtains and bedspreads. 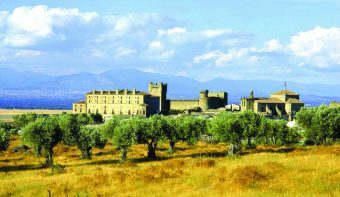 The stately home of the Counts of Oropesa enjoys exceptional panoramic views of vineyards, olive groves and pastures with the often snow-capped Sierra de Gredos mountain range rising beyond. Its Toledo-style cuisine offers hearty local specialities such as perdiz escabechada, a rich stew made with partridges; goulash de ciervo, stewed venison with fresh local vegetables; and suspiros de monja (“nun’s sighs”) a kind of cream puff. Several airlines fly to Madrid from Bangkok, Kuala Lumpur and Singapore with transit in the Gulf or Europe. Turkish Airlines (www.turkishairlines.com) has the most flights and speediest connections, British Airways (www.britishairways.com) offers some of the lowest fares, whilst Qatar Airways (www.qatarairways.com) usually offers superior service. An excellent agency for arranging customised luxury tours of Spain is Madrid & Beyond. Visit www.madridandbeyond.com for full details. For enquiries and tour requests, use the ‘Contact Us’ form or email info@madridandbeyond.com . The Madrid office is at Calle Génova 21; T. +34 91 758 0063. 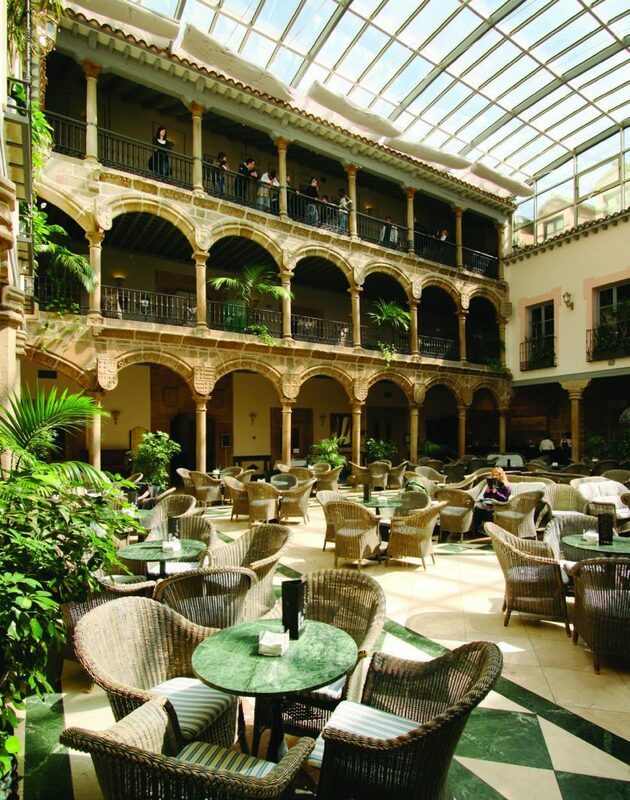 The Paradores de Turismo is Spain’s classic hotel chain. Segovia, Salamanca and Toledo all have recently built paradors situated on hills overlooking the cities, whilst the Parador de Avila occupies a former convent in the heart of the city. 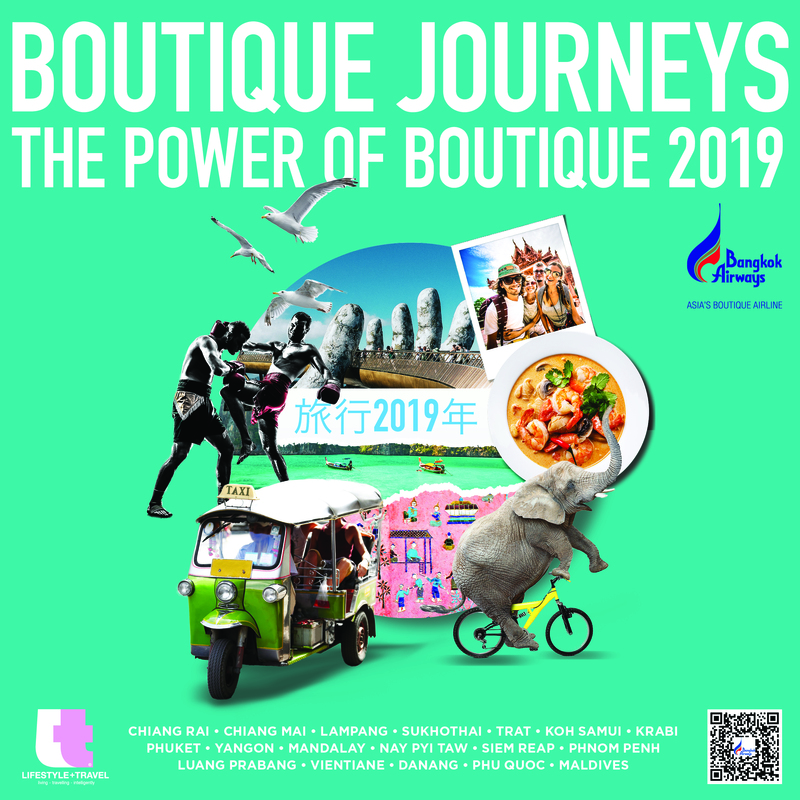 Spain’s National Tourist Office website is at www.spain.info and its Southeast Asia office is located in Singapore at #09-04 Liat Towers, 541 Orchard Road; tel. +65 6737 3008. The regional tourism websites for Castile are www.turismocastillayleon.com for Castilla y Leon (Old Castile) and www.turismocastillalamancha.es for Castilla La Mancha (New Castile).